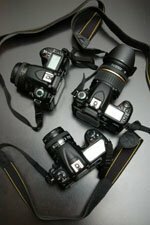 When you decide to purchase a new digital camera, there is quite a range of digital camera types available to choose from. Although they all might have similar features, the way they are presented to use or function automatically varies greatly. Compact cameras which are characterized by their smaller size, direct viewfinder, limited focusing, shutter and aperture control. Single lens reflex (SLR) cameras which are slightly larger and heavier, and allow you to see through the lens. They have focus, shutter and aperture controls and available range of interchangeable lenses and other attachments. Beginners or young photographers often start with a low-cost, entry-level, point and shoot camera. Just like Kodak's Founder, George Eastman, said back in 1888, "You press the button, we do the rest" is a slogan that can very easily be applied to today's point and shoot cameras. Cameras in this category usually have fewer controls than other digital cameras but many are also very small and can easily fit into your pocket so caring them around is much easier. The fastest selling point and shoot digital cameras are those built into camera phones. The image quality might not match that of dedicated cameras but you are more likely to have it when you need it. They are characterised by a direct viewfinder window, with everything in the scene always in focus and with most camera settings being fixed so that all you have to do is point and shoot. This might sound ideal but there are some drawbacks to be aware of. The direct viewfinder, having its own window outside the lens, sees your subject from a slightly different position. Be aware that this difference of view point or parallax error becomes more pronounced the nearer your subject is. To control for parallax error remember to use the correction lines or preview your image composition on the LCD screen at the back of the camera. Since in many models the lens has a fixed setting to focus subjects from the far horizon through to about 2.5 meters away, you will not be able to get sharp images if your subject stands any closer. With fixed shutter speed of about 1/125 second ( or at limited range) makes it impossible to freeze fast subject movement. And with the aperture being fixed or at very limited range makes it difficult to adjust for correct exposure for all lighting conditions. The cheaper models will have a smaller number of sensor sites (pixels) and therefore produce images that are suitable for viewing on screen or producing small prints. and is very much linked to price. More advanced compact cameras are more expensive but are fitted with lenses giving higher resolution images allowing you to make bigger prints and wider apertures allowing you to cope with dimmer lighting conditions. The cameras of this type are still designed to handle most things automatically but most of the models have the option to manually overwrite features such as aperture and shutter speed. They also come with a zoom lens allowing you to control the focal length making the image bigger or smaller without having to move closer (or further back). Single lens reflex (SLR) cameras allow you to look inside the camera itself and view the actual image formed by the lens. Since we view through the lens, there is no viewfinder parallax error no matter how close the subject is. Unlike a compact camera, the shutter is not in the lens but in the back of the camera. This allows you to remove the lens and fit others of different focal length. Be careful when removing the lens from an SLR as this lets dust enter the camera and settle on the sensor. This dust creates dark spots in your images. 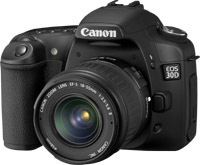 SLR cameras are often referred to as "system cameras" as the maker offer a wide range of lenses and accessories. Thus starting with a camera body and a regular lens, you can build up elaborate camera kit step by step as you become more experienced. A manual type where you set most of the controls. An automatic type that work with built-in programs. And a semi-automatic type that combine both systems. The fully manual SLR cameras are film only. The digital SLRs contain at least some automatic modes along with their manual options. A manual SLR has settings dials for shutter, aperture and focus. Advanced SLR cameras have many features and controls and "multi-mode" function capabilities. What this means is that by selecting one mode you can have the camera function as if it were manual, or by selecting another have it function in an automatic way. Yet another mode will allow you to have it work in a semi-automatic mode where you can choose and set one aspect i.e. the shutter speed but have every other setting be selected automatically. The advanced SLR cameras are available for both film-based and digital photography. The digital SLRs also include the ability to change the sensor sensitivity frame by frame, adjust the camera to suit different colored lighting conditions and even change the contrast or color saturation of specific images. All of the information concerning the chosen mode or setting as well as the number of pictures left appear on the display panel on top of the camera body or on the LCD monitor on the back of the camera. In the Digital SLRs this information is also recorded in the digital file and can be displayed by calling up the information (sometimes called metadata) in an image editing software.